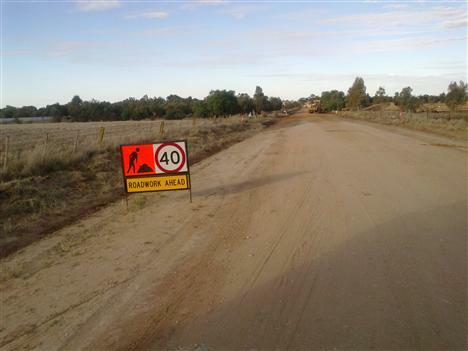 A Road Management Plan is a statutory plan under the Road Management Act 2004 that sets out the maintenance regime for management of the municipal road network for Buloke Shire. It establishes the management system for Council to inspect, maintain and repair its public roads based on policy and operational objectives having regard to available resources. Ensure the provision of a safe and efficient road network for use by road users and the community. In reviewing the plan, a classification of roads based on a functional hierarchy rather than the current condition based system (i.e. sealed, gravel, earth) is proposed. A functional classification system enables each road to be critically assessed based on destination and purpose, with agreed criteria to determine whether the road system is meeting the needs of the road users. The existing width of a road or whether it is sealed is not necessarily criteria that influence a classification. The revised plan now proposes that each road be classified into a Link (e.g.. Birchip-Corack Road), Collector (e.g. Seven Mile Road), Access (e.g. roads servicing residential properties) or Limited Access (e.g. road servicing rural paddocks) road and identified the standard Council desires to achieve for that class of road. In considering this re-classification, the hierarchy maintains the current Council Policy to provide all weather access roads to an occupied residence. Council have also completed a functional re-classification of its footpath network based on Primary Access (high traffic footpaths such as commercial areas and school zones) and Secondary Access (lower traffic/residential areas). The move to a functional hierarchy has also brought about changes to the type and frequency of pro-active condition inspections, intervention levels and the standard for renewal. These changes vary dependent on the classification level of a road or footpath. A copy of the adopted Road Management Plan can be downloaded by clicking on the link below. Alternatively, a printed copy of the Road Management Plan and maps can be obtained from any of our five district offices. For further information about the Road Management Plan please contact Wayne O'Toole, Director Works and Technical Services, on 1300 520 520 or via email at buloke@buloke.vic.gov.au.